Learning to Rest is Work. I’m writing a devotional about learning to rest. God calls us to rest in Him, but what does that mean and how do we do it? I have learned that learning to rest in God takes work. It doesn’t happen naturally . I’m giving you a sneak peek at the devotional today. Pray through these verses everyday this month. These verses teach us to know, not feel. We need to learn to rest because of our feelings. God created feelings for a purpose. They help us interact with the world around us. They help us to love deeply. They alert us to danger. Feelings are a thermometer not a solution. They give us the temperature; that’s it. When we learn to rest in God, He clothes us, not our feelings, with all wisdom and spiritual understanding, so that we may walk worthy of the Lord. Today, we may not feel strong. Learning to rest in truth, leads us to wait for the Lord to strengthen us with His power. He will give us endurance and patience with joy, but we can only live one day at a time. If we carry yesterday’s hurts and tomorrow’s worries, we will be exhausted. God gives us strength for today. If we find that we are carrying yesterday’s hurts, we need to expose them to the Light. Hurts do not heal with time. When we stuff hurts to the basement of our hearts, we subconsciously respond to the world around us out of that hurt. We may not feel rescued from these hurts, but in Christ Jesus we are. Because of Jesus, we have been transferred to the kingdom of the Son, who the Father loves! We have redemption in Christ! We have forgiveness in Christ! Praise the Lord, we are “In Christ”! 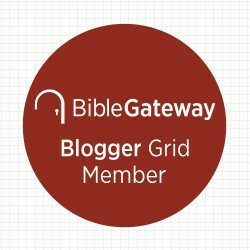 You can read the whole chapter on Bible Gateway in any version you want! 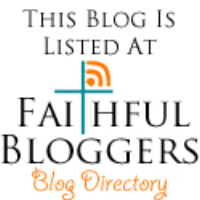 ← Meditation: My Redeemer is Beautiful!